Se Fire producer Mirapid has just dropped his first instrumental EP on fledgling Bristol label Ghosted. 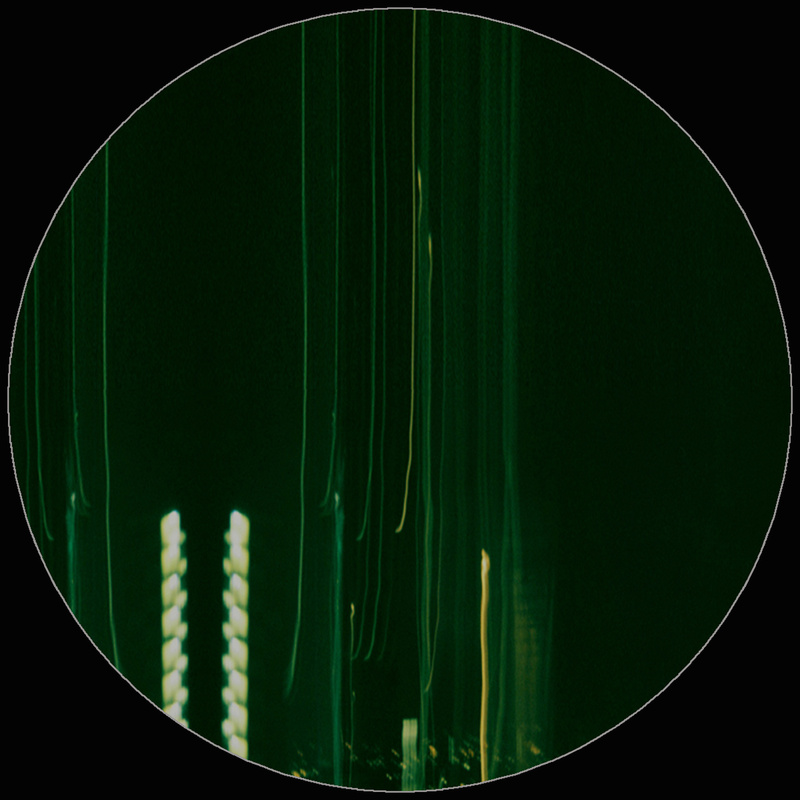 Expanding upon the experimental elements he incorporated into the group’s 2012 Match in The Ocean LP, the five tracks on The Green Season erupt into a heady blend of pulsing rhythms, cyclical garage vocals and heavy dub. Clean percussion propels the ambient melodies on Morning; building tension patiently as short vocal hooks are draped over tribal drums on the claustrophobic intro; then Broken Limb opens up to reveal luscious expanses of sound that hide something new around every unanticipated musical turn. Zombie Pool Party builds on entrancing house rhythms with organic sounds that envelop you as they unwind, while Strings For Synth provides much-needed breathing room; using light electronic touches to top warm waves of synth as they crash onto the track then quietly withdraw. Heavy kicks knock hard on the title cut, pounding the EP towards it’s conclusion with pitched vocal chops that wail like sirens; screaming through thick basslines as they bubble under warped keys. The skilful composition is what makes the EP so hypnotic. 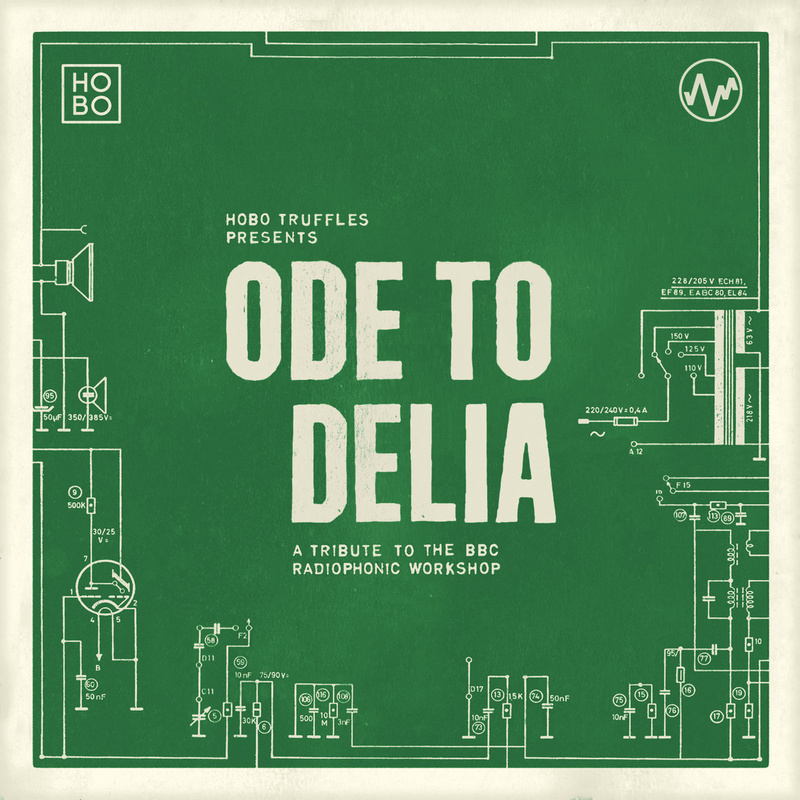 Each section intertwines to co-exist harmoniously with every other component as the tunes flourish with a natural feel, lightyears away from your average four-to-the-floor build or wobbly drop; and although this style of electronic music gets bitten heavily, when it’s done well it’s undeniable. On The Green Season Mirapid has pulled it off flawlessly. 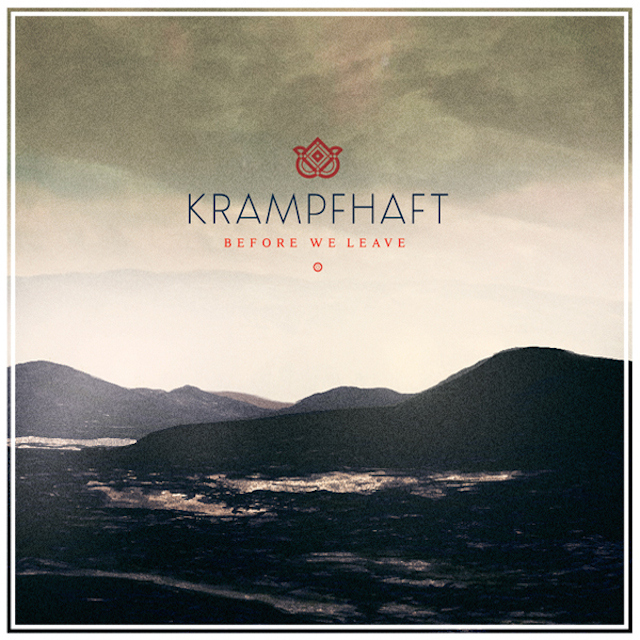 If you ever heard DJ Shadow’s story about playing a tune that was ‘too future’, causing promoters to pull the plug during his set at a Miami nightclub; you’re probably aware of Krampfhaft’s 2011 EP Spit Thunder. Since then, the Netherlands-based producer has continued to blend booming electronics with subtler, synthetic sounds to form heady musical journeys that perpetually twist and obfuscate like an eternally spiralling staircase. On his latest LP Before We Leave, he keeps his tortuous track record in tact, producing claustrophobic instrumentals equally at home gurning on large dancefloors as they would be dripping sweat onto the sticky floors of the dingiest drug dens. From the vertigo-inducing transformers funk of Superfluid to Frostbite‘s static storms, Krampfhaft constantly reinterprets his sound with layer upon layer of subtle sonic adjustment; if you had a hard time following Inception, be prepared for your head to pop clean off upon a focused listen to this sixteen song exercise in contortion. Southern snare rolls glaze the world’s calmest crunk melody on Clip Point, unmercifully holding back a drop while filtering in a dense fog of ambient sound; while mellow strains lift the tone on Extrasolar, and Spinner plays like a demonically possessed washing machine stuck on it’s final cycle. Modulating synths shriek like demented seagulls to stalk Toekan‘s shadowy nether-regions, before a tonal shift contrasts on the title track, building on sturdy melodic foundation with glowing notes that vividly conjure a late-eighties neon Tokyo. As church bells fade into hyper, jutting cuts on Dormant Code, Mostly Empty Space provides a break in the heavier, technological sounds while retaining the repetitive motion that propels the LP, churning with the regularity of factory workers. Veluwe is cosy like Lonnie liston Smith and Roy Ayers jamming on a school-night sleepover, while Everything Is Slowly Breaking provides a counter-balance to it’s predecessor through icy piano drips. Fans of Evenings and Gold Panda will greet the calm swells of Immensely Small with open arms, while Deleted and Alternate Scenes holds the potential to please those seeking hard-edged saccharine pop hooks; and as the depressingly danceable loops on Waiting For Emma interweave to finalise this impressively expansive first album; Krampfhaft’s attention to detail and highly attuned ear for melody have offered a more chilled, but increasingly accomplished version of his distinct sonic vision. If you’ ve been checking out the blog for a while, you might remember Panther God’s first single Dreamatone dropping back in January. Since then the man behind the mythical mammalian moniker has been battling postponed release dates and tweaking his beats to perfection in order to bring his vision to the eager ears of the public. Blurring the lines between electronic ambience and Hip Hop instrumental, Golden Changes blends the more experimental aspects of both genres, unfurling the producer’s full potential into a collage of staggered snares, rolling hat stabs and deep, textured sounds. The album’s rich tones morph like Bruce Lee’s water in a cup analogy; perfectly assimilating the properties of whatever song-shaped receptacle Paul Gaeta slots them into, buoyed by constant inspiration from the unorthodox progressions John Coltrane played on his explosive 1960 Atlantic début, Giant Steps. Jehovah shows the beats scaling new peaks; with a heavy electronic veil that occasionally lifts to reveal angelic vocal chops clean enough to make James Blake jealous. The celestial trajectory that Dreamatone begins to explore is fully realized with Curtain’s ethereal harp melodies; the two songs combining to create a journey so spacious not even Pharoah Sanders and Lonnie Liston Smith could astral travel it’s expansive scope. The title track dips ten bass sounds into a overflowing cauldron that fizzes with tech blips and thick, foaming synths then cools that mixture into a compound that whizzes with energy and sounds like Sun Ra’s brain, so a brief Radio Intermission is needed. Electric grooves grow into pure pop hooks on Rectify; an undeniably catchy tune that needs to be playing everywhere from Boiler Room sets to student house parties immediately, with arpeggiated computer console crescendos and fat synth stabs that soar over a low end built for big speakers. The chunky bassline and hectic hi-hats on Pixel Lord are enough to make even the most fashion-conscious-sandal-sporter smash their Ipad over their vegan girlfriends head and wind-mill like a member of Cannibal Corpse; and when the sub bass drops the world feels like it’s going to end. It’s safe to say if you played this on repeat at a party you’d inadvertently incite everyone to strip naked, bally-up and shoot heroin into their eyes with grim excitement. Things get cleaner from there, easing back on the electronic cacophony as Gaeta and his Circuitree Records labelmate Deflon meld hip hop loops with warm fuzz as 16bit blips whizz past your peripherals on Oranges; and Majeek shows his smoother side, with a chilled, plodding, analog sound, loose shakers that settle into the wings, and goofy double bass lines slouching all over the track like stoned sloths on a sofa. Proximal Record’s Wake gifts us a serene guest appearance on Slides, lining glowing layers of synth with strong kicks, then as the album reaches it’s apex Panther God’s ear for unorthodox percussion shines on Samson‘s stumbling breaks. Rainbells instils equilibrium with guided meditation-esque tones to centre the album after the previous song’s frenetic attack; and as this expressive slice of earthy ambience fades, its clear that Paul Gaeta is a highly creative producer with a varied, dramatic use of sound. Since the internet broke the barriers of the bedroom producer floodgates and dispersed their soundcloud seeds to all corners of the earth; the biblical proportions of wackness that plague the modern instrumental listener seem unrestrainable; so to find Panther God playing Noah as he rides the crest of this musical overflow in a craft of his own design is welcome. With Golden Changes he has created distinctive, exciting compositions that make the album an artifact to hold on to; just in case fresh, vital productions like this go the way of the Eastern Cougar. 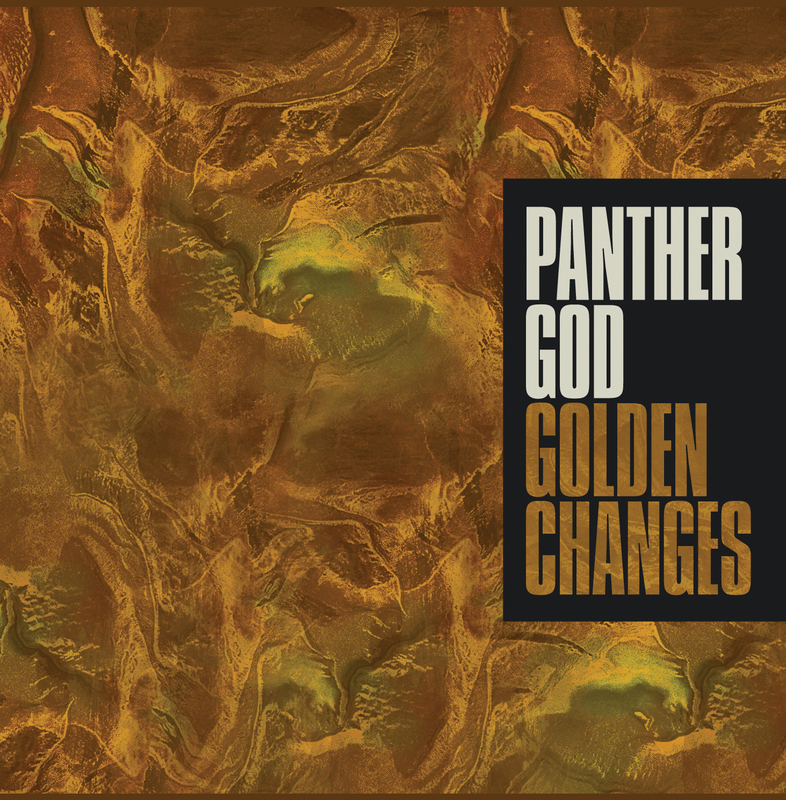 You can grab a digital copy of Golden Changes right now at Juno Download. Physical copies are set to follow on April 14th.